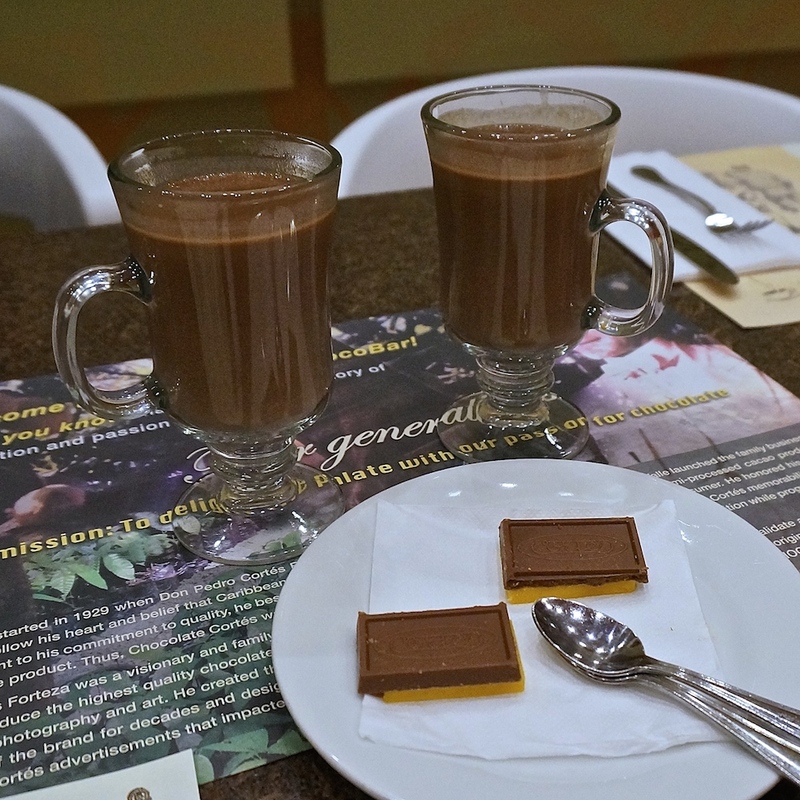 For the first time ever, Puerto Rico is growing its own cacao thanks to the help of Chocolate Cortés, a fourth-generation Puerto Rican chocolate company and the major cacao processor in the Caribbean. Cortés produces more than 4,000 metric tons of chocolate a year, largely relying on cacao from the neighboring Dominican Republic. 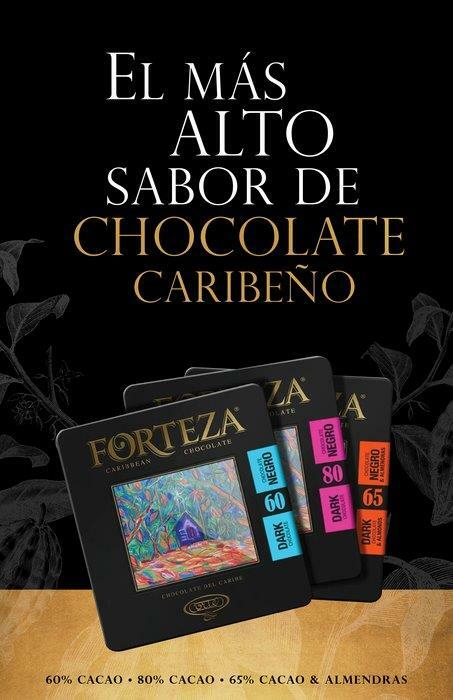 Less than a year ago, they took their company to a whole new level in terms of quality with the Forteza line of chocolate. 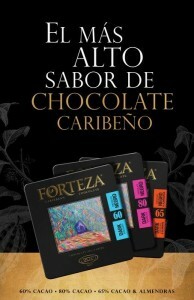 This trio of bars includes an 80% single-origin Puerto Rican chocolate, a more acidic 72% blend of Puerto Rican and Dominican Republic cacao and a 65% bar with almonds. 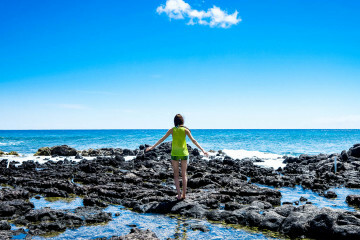 Through a partnership with the Puerto Rican government, Cortés researched and trained Puerto Rican farmers to create a nascent cacao growing industry. Like wine, cacao flavors vary widely depending on terroir and I find that Puerto Rican cacao is smoother with coffee notes and a softer finish while the Dominican variety is more acidic and tannic. 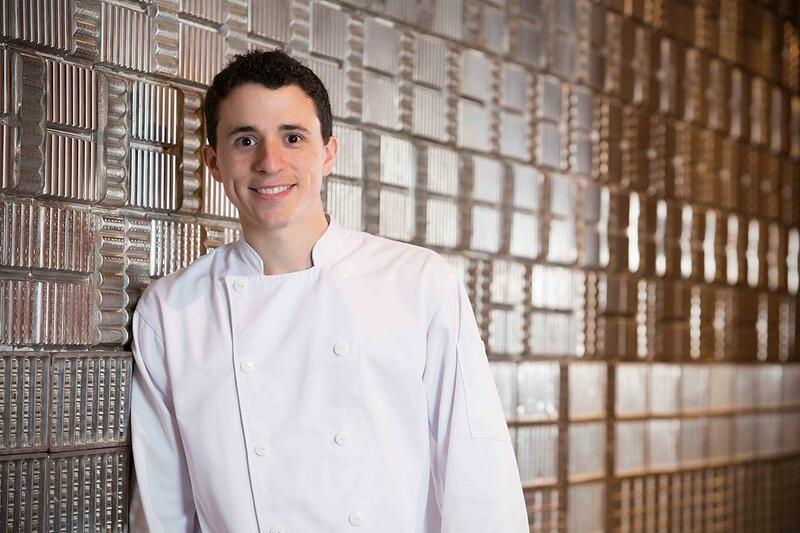 The only place to get this new chocolate is at ChocoBar in Old San Juan. It’s also a great place to try some innovative chocolate treats, like a pinot noir chocolate milkshake. 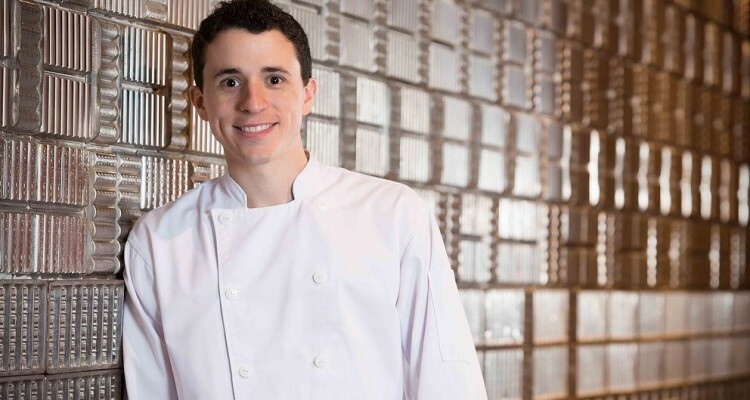 The chef at ChocoBar is Ricardo de Obaldía, a 28-year old Panamanian who studied pastry in Seville and worked at Abantal and Celler de can Roca before opening up the ChocoBar in September 2013. Obaldía says they are now doing more business per day than they expected to do in a month. 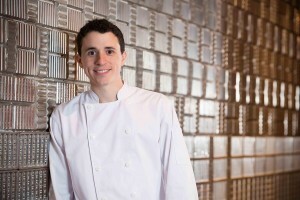 His balance of familiar and adventurous chocolate treats appeals to a wide range of chocoholics. 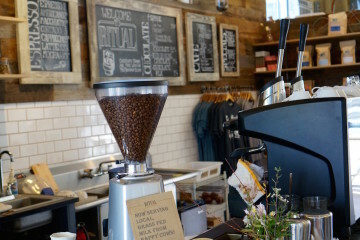 Although there are plenty of savory food options, including a delectable tapas menu, it’s the hot chocolate options and desserts that keep locals coming back and make ChocoBar a must-taste for international visitors. 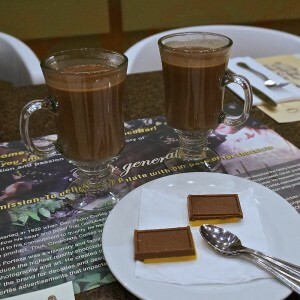 All hot chocolates are served with a piece of milk chocolate praline and a slice of cheddar cheese. Per Puerto Rican tradition, you’re supposed to dip the cheddar in your chocolate and allow it to melt for a gooey sweet and salty combination. Take the cheesy chocolate a step further with the best-selling chocolate grilled cheese on brioche. This is one I’ll try at home, maybe even mixing it up with Nutella. The café has an upbeat ambiance and beautiful design, including a wall lined with metal chocolate molds from the 1940s. Upstairs, you can view the Cortés family’s personal art collection. 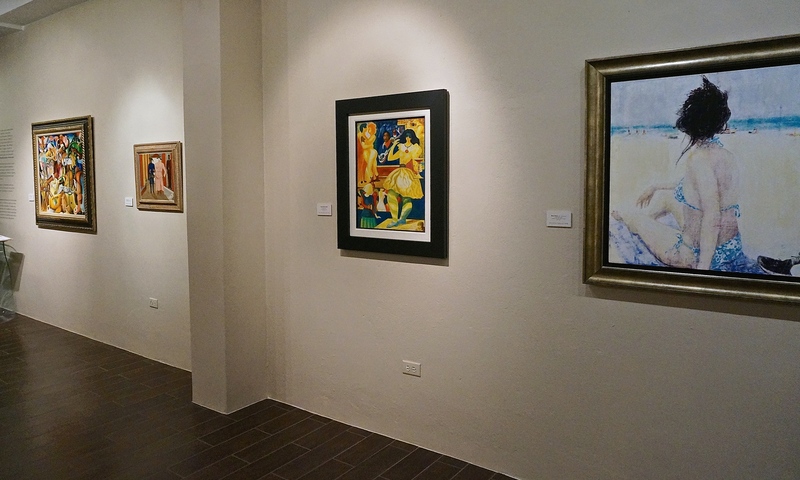 It’s the only private art gallery in Old San Juan with free admission and features an eclectic mix of contemporary Caribbean artists including Puerto Rico’s own Manuel Hernández, Carmelo Sobrino and Elsa Maria Meléndez.